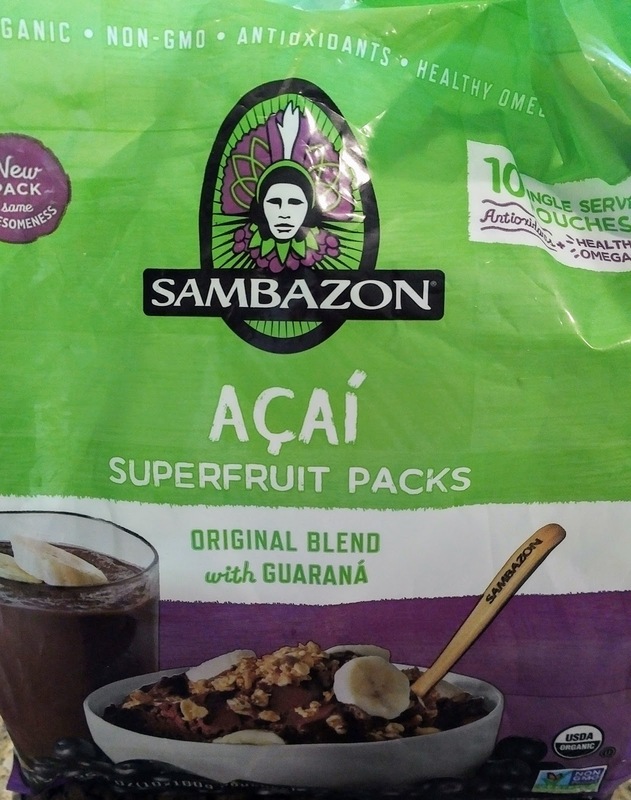 Acai (pronounced "a-sai-ee") fruit is full of antioxidants and a hot superfood item. 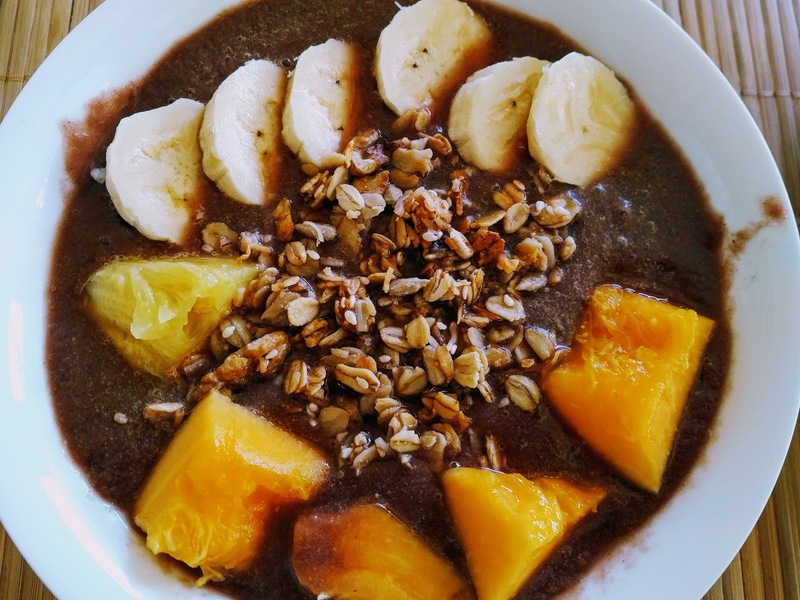 Acai bowls and smoothies are both healthy, sweet and very tasty. 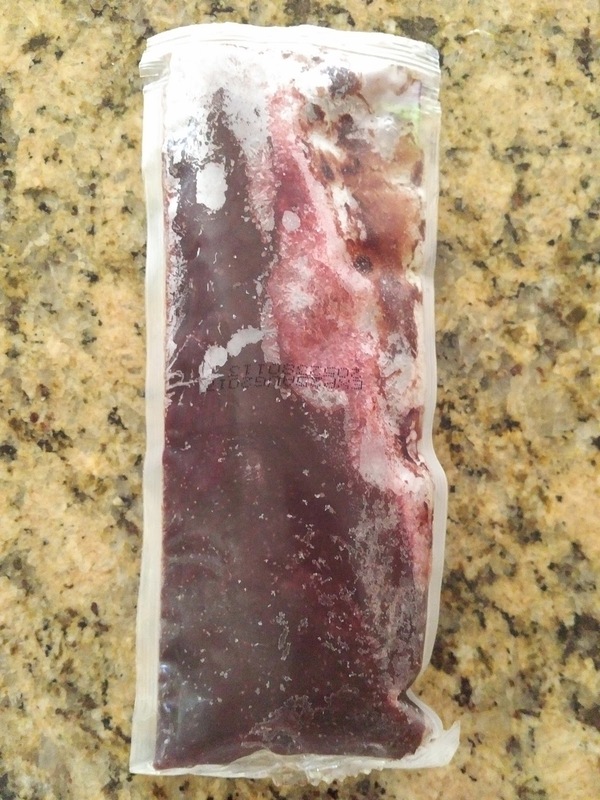 Blend the acai with half a banana, 1 pineapple ring, and ice cubes in a high powered blender for 30 sec. Loosely chop up the almonds and slice the rest of the banana and pineapple. Pour the acai blend into a medium size bowl, and place the fruits, nuts, and granola on top.